We obtained the barn from a neighbouring farm. Chris (Katie’s dad) remembers it being put up new in the 1950’s and Katie remembers playing in it as a child with her cousins. It was a five bay, curved roof barn for straw storage. 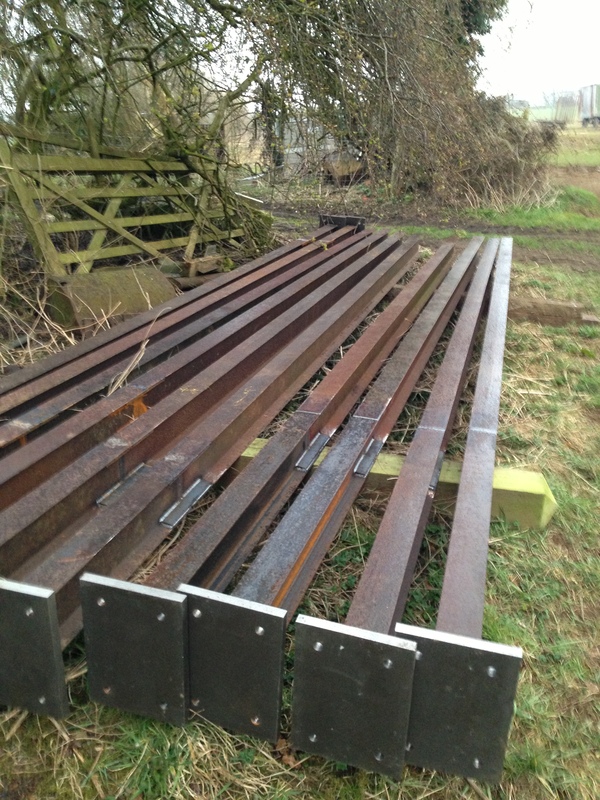 Dismantled in April 2012, to make way for new grain store, the metal frame was moved across the fields to the new site, where it spent 6 months communing with the weeds. 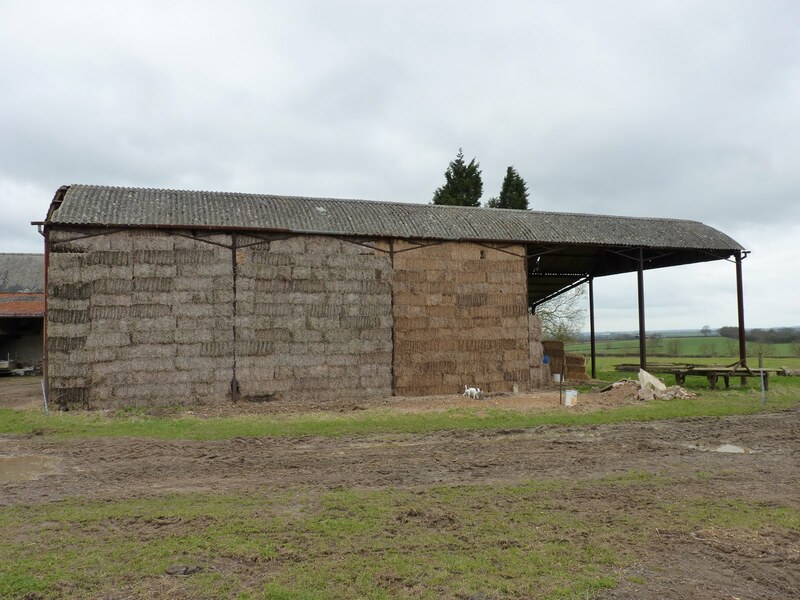 The old roof sheets, made of asbestos/cement sheeting, were expensively disposed of, whilst virtually all of the rest of the original structure was saved. 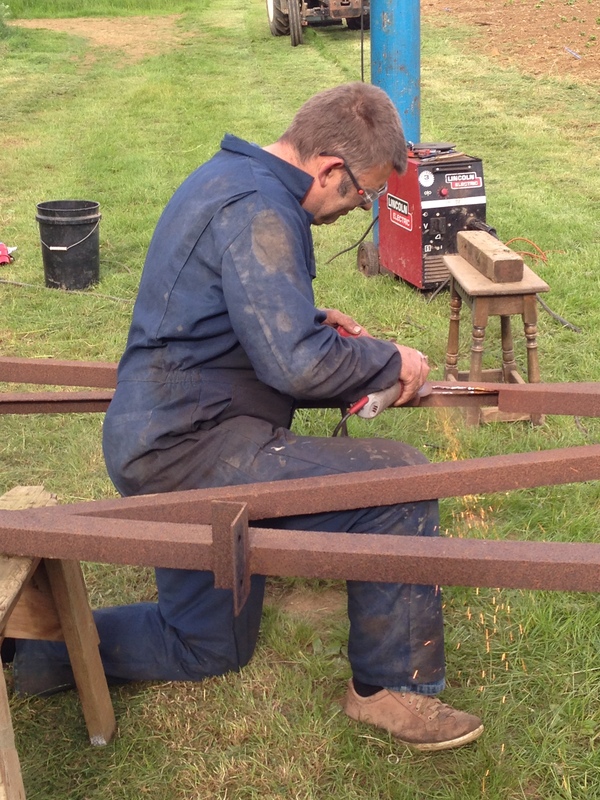 The house design calls for only 4 bays, so the spare metal work has been used as a donor for repairs to the frame, mainly the uprights. In early 2013, the uprights were transferred to Will Baine’s yard in the village. There, they were cut to length and extended, using the extra 2 legs to make up extensions. And new ‘feet’ added to accept bolts to attach to foundation concrete pads. They returned to the farm in March 2013. 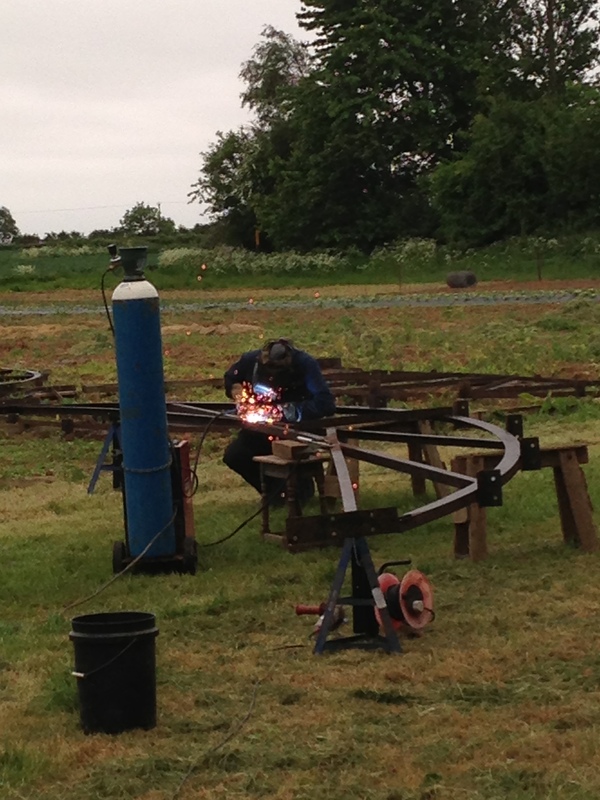 In April 2013, Will completed welding repairs on frame on site.